Ever wondered what would happen if the core of an RPG was merged with a fluent combat system? Namco did. Battle wild creatures in the dark and mystical depths of two entwined fantasy worlds to save them from evil! Tales of Symphonia is a stunning 3D role-playing game full of twisting plots offering gamers over 80 hours of immersive real-time role-play. 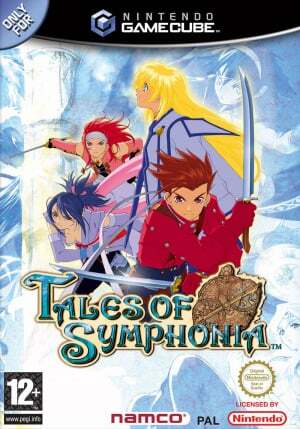 Tales of Symphonia is exclusive to Nintendo GameCube and goes on sale across Europe from 19 November. In a dying world called Sylvarant, legend has foretold that one day a Chosen One will appear from amongst the people and the land will be reborn. As Lloyd Irving, joined by his close friends Genis Sage and Colette Brunel, you must return your world to health. Experience exquisite landscapes of beautiful cel-shaded graphics, high-quality anime cut scenes and character design from renowed artist Kosuke Fujishima. Dive into a unique, real time battle system. Execute and combine hundreds of special attacks and magic spells. The line between good and evil blurs in this immersive, emotionally charged epic adventure where the fate of two interlocked worlds hangs in the balance. Get ready for mystery and adventure, not everything is as it seems in the world of Tales of Symphonia. Players can complete mini-games and fight over 250 different enemies in their battle against evil. By defeating such foes players earn Experience points. Gain enough points throughout the game and your character will become even stronger, learn new combat techniques and spells. 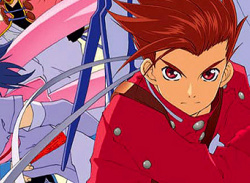 Tales of Symphonia also offers players a degree of freedom in choosing their path through the game through the choices and decisions they make. My favourite RPG of all time! 1 of many great tales games!